We turned our favorite summer mojito into a festive holiday cocktail. This cranberry mojito recipe is classy enough to serve company and easy enough to make for a weekend happy hour. Simply muddle then mix your way to happy! We opted for key limes, which are more tart, and light rum but you can also use regular limes if key limes are not available. If you’re watching your waistline, reduce the calories by using a low-calorie cranberry juice and omit the sugar. We promise, this cocktail will taste just as yummy only sans the guilt! Halve key limes then squeeze juice into cocktail shaker. Toss juiced limes in shaker then add mint and sugar. Using a wooden spoon, muddle ingredients in shaker. Add ice, rum, cranberry juice and sparkling water. Shake mixture then strain into glasses of fresh ice. Garnish with lime wedge and fresh mint! 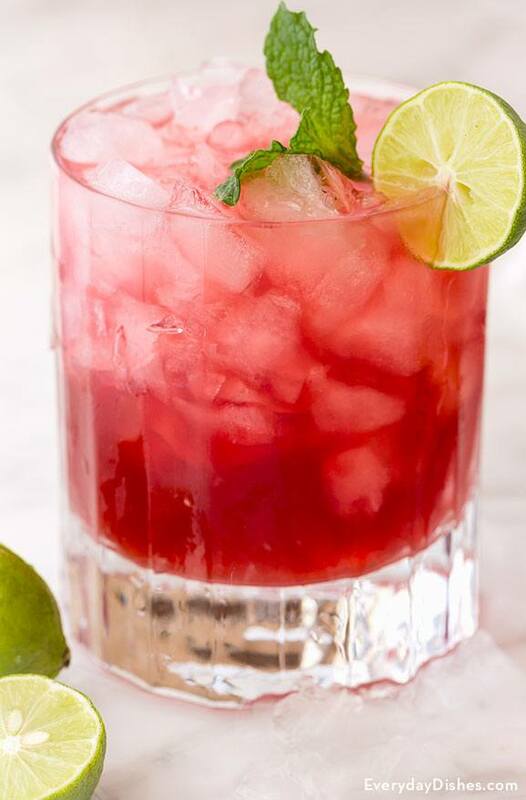 If you want a cocktail that’s a little more tart, opt for organic pure cranberry juice instead of cranberry juice cocktail!